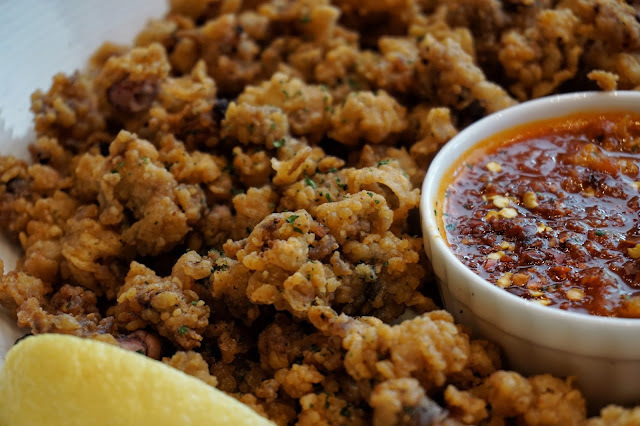 Manila food scene has been getting busier and busier each day. With more restaurants opening here and there, locals now have more options on where to dine. One of the cuisines that continues to remain strong is Italian. After all, who could resist a tempting slice of pizza or a fragrant plate of pasta? (I can't.) 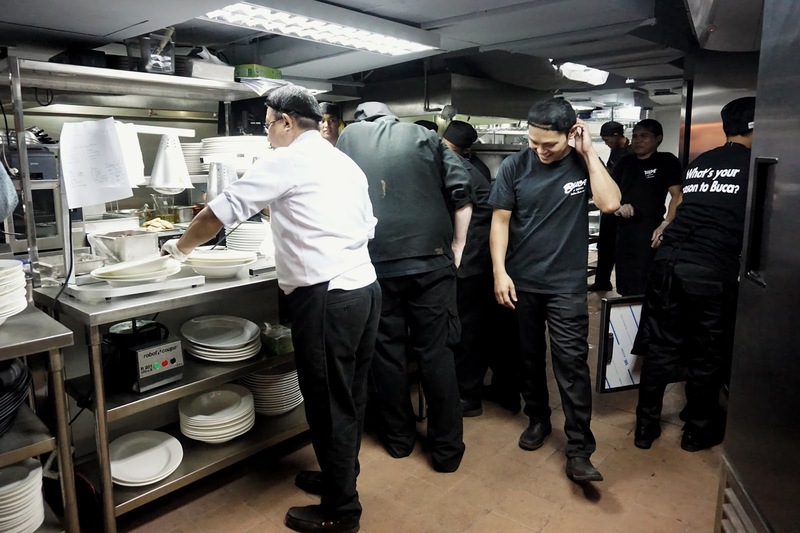 And last November, a new Italian restaurant found home in Manila. This famous Italian restaurant chain is no stranger to well-travelled foodies. Starting out as a hole in the wall restaurant in Minneapolis, USA, it became a household name for those who love Italian cuisine. Known for its family-style feast, Buca di Beppo offers a dining experience that would make you feel right at home. 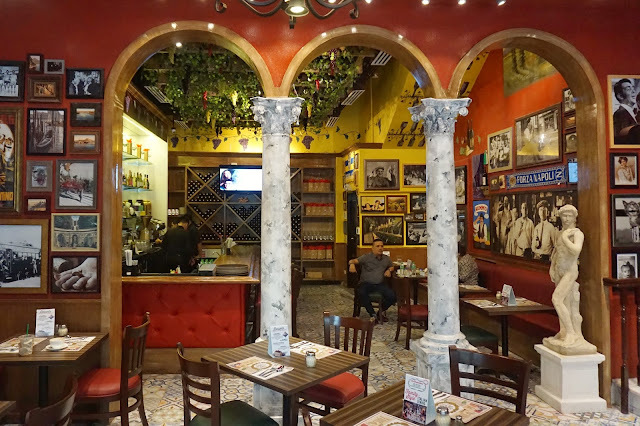 Located at the ground floor of BGC Corporate Center, I was welcomed by Buca di Beppo with its warm ambiance and picturesque interiors. As I walk through the dining area, I noticed that there are different themes per corner. There are some filled with Italian-inspired posters of famous and infamous while some have a more wine cellar vibe. 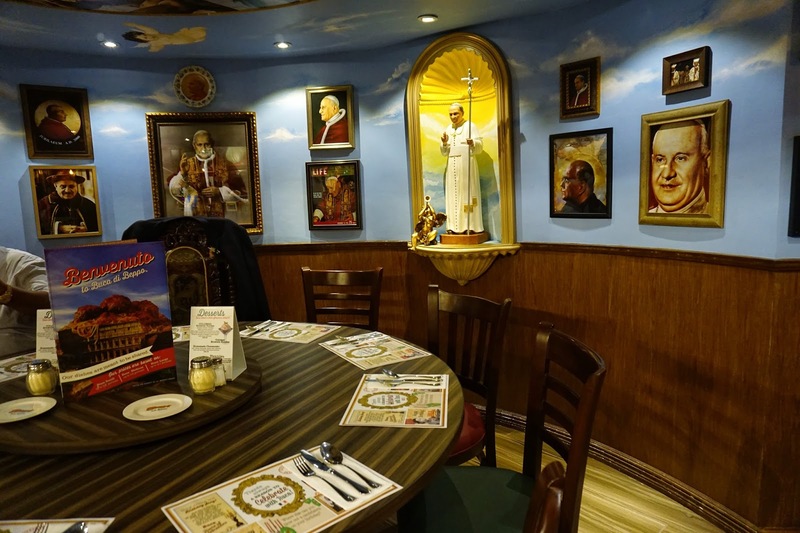 There's even one called the Pope room which could comfortably sit eight guests. 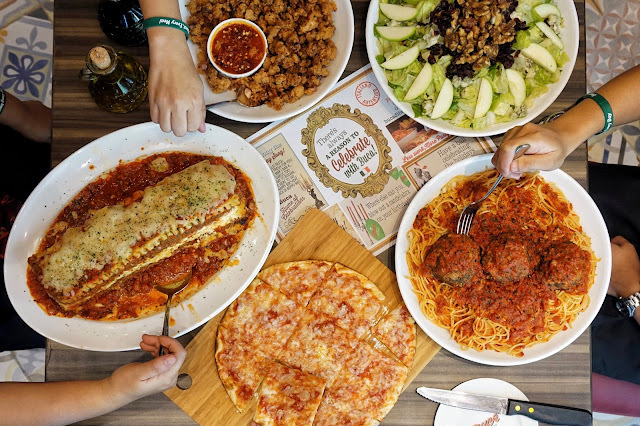 Family celebration has been the core of Buca di Beppo. This explains why its menu has been designed for groups. Large servings are perfect for groups of 10 to 12 while medium is said to be good for four to six and small is for two. But with Buca di Beppo's generous servings, you could stretch those numbers a bit more. During my visit, I got to try its Mixed Green Salad (PHP365, small | PHP525, medium | PHP875, large), Caesar Salad (PHP195, small | PHP295, medium | PHP595, large), Chicken Limone (PHP655, medium, PHP1,095, large), Meatball (PHP275 each), Spaghetti Marinara (PHP485, small |PHP955, medium | PHP1,595, large), Fettuccine Alfredo (PHP425, small | PHP795, medium | PHP1,375, large), and Tiramisu. The Mixed Green Salad drizzled with Buca di Beppo's signature Italian vinaigrette had a nice light flavor fitting as starter. 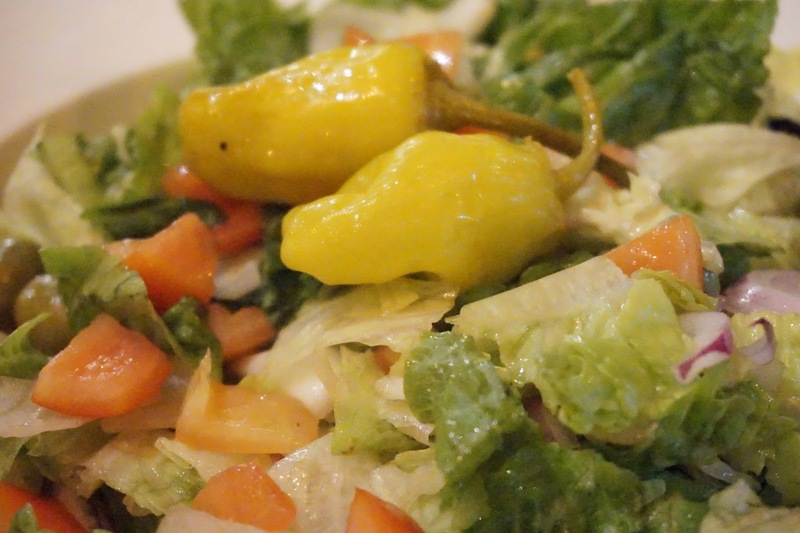 The crisp greens mixed with pepperoncini, olives and tomatoes whet my appetite for the other dishes. 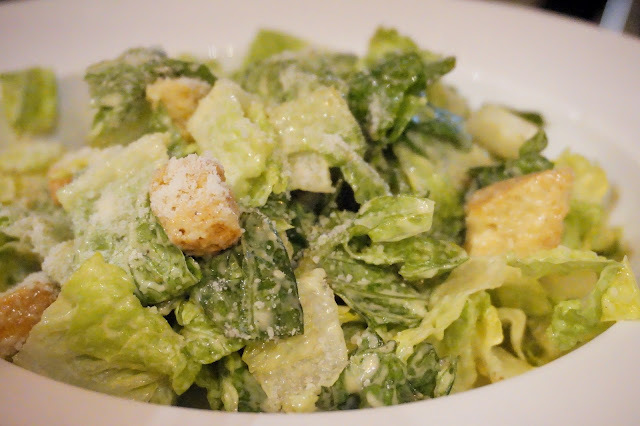 But before indulging in the heavier dishes, I tried its Ceasar salad which tasted pretty much like the ones you'd get elsewhere. 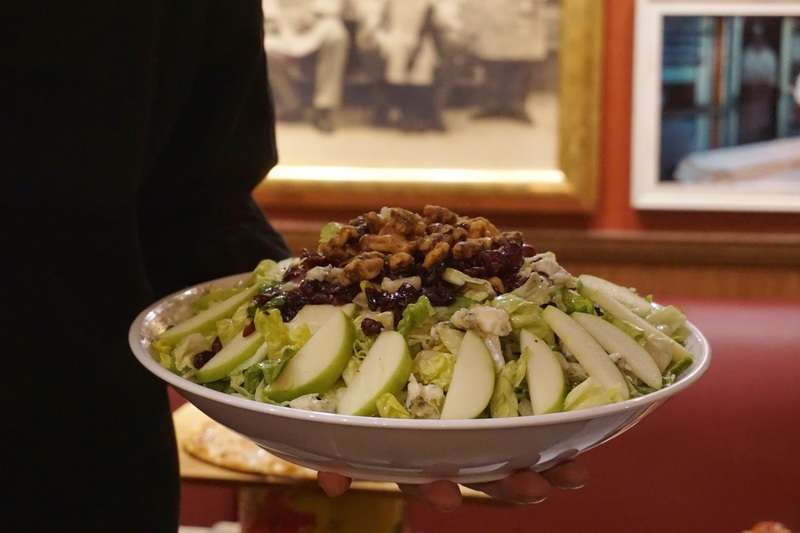 But if you want a cheesier taste with your greens, then this is the salad for you. 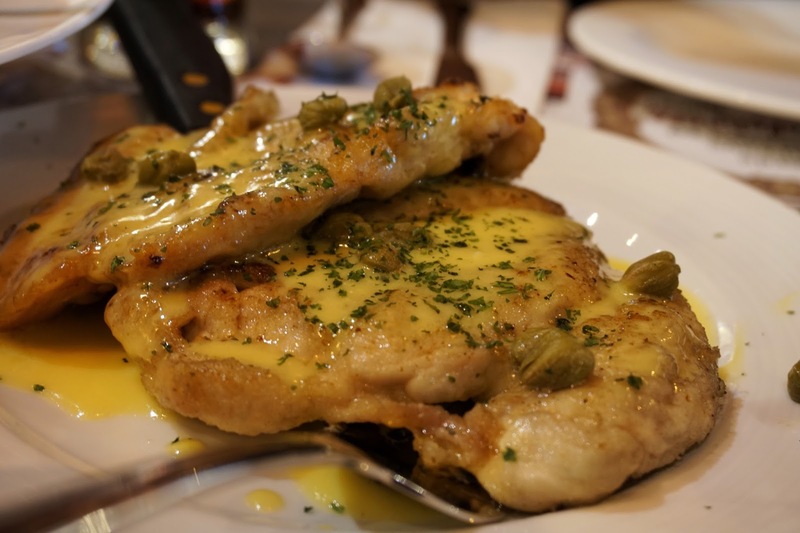 Chicken Limone was spectacular. I loved its blend of creamy and sour flavors. It reminded me of Flatiron's tangy breaded chicken which I love. Sans the thin breading, this one was perfect with the creamy Fettuccine Alfredo. Eating Fettuccine Alfredo alone might make you feel sad as it was very plain. 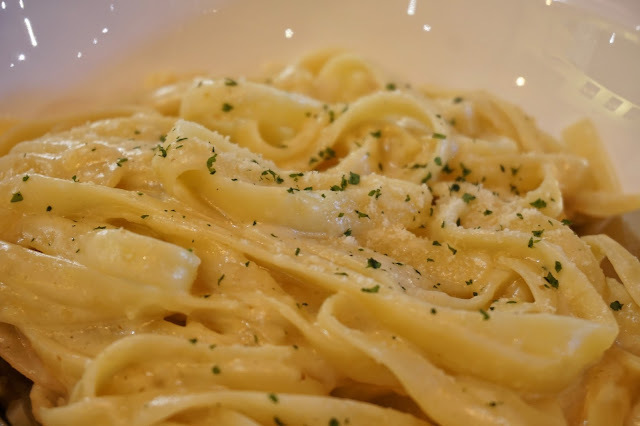 It is basically just fettuccine with Alfredo sauce. I highly suggest that you get Chicken Carbonara (PHP565, small | PHP1,025, medium | PHP1,995, large) instead if you want cream-based sauce and you'd get more out of your hard earned money as it has more flavor and toppings. 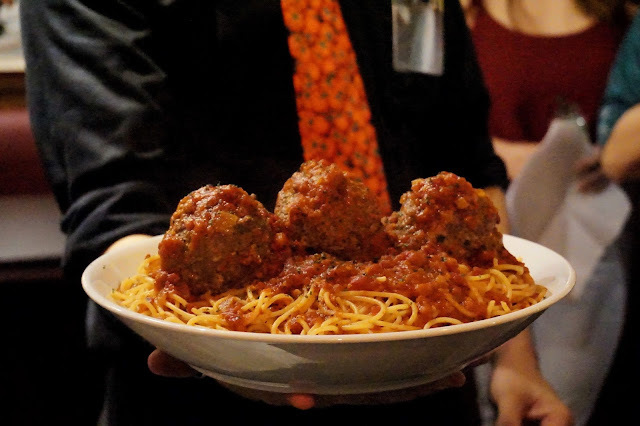 Buca di Beppo's Spaghetti Marinara got me confused. It was definitely not the marinara I was expecting. I was used to calling my seafood pasta in red sauce as marinara. But Buca di Beppo's version was simply marinara sauce which they are proud of. 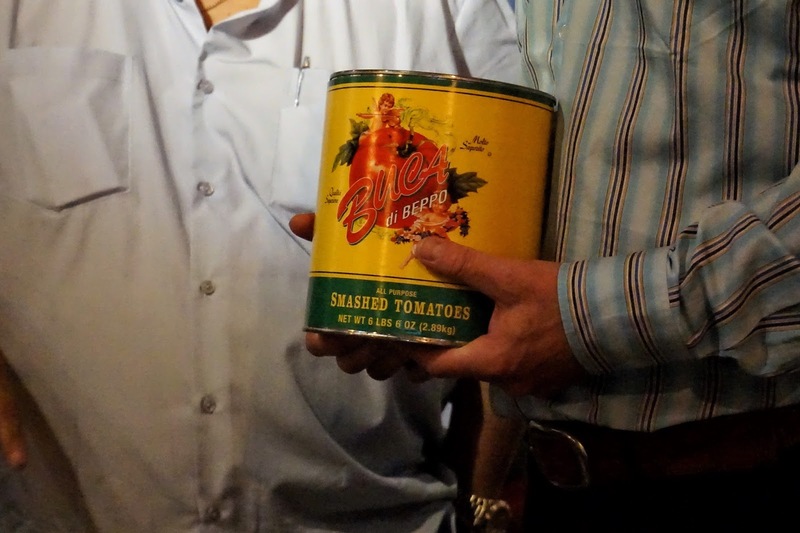 They even have canned version of their famous sauce distributed to its branches worldwide to ensure that it is consistent in all of their branches worldwide. 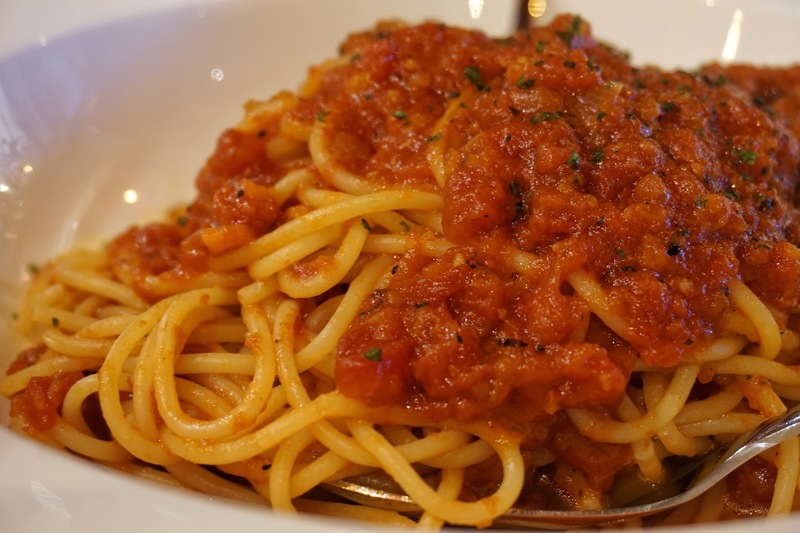 And if you are fond of the authentic Italian red sauce, you would love this as it has that sharp mouthwatering tangy taste. 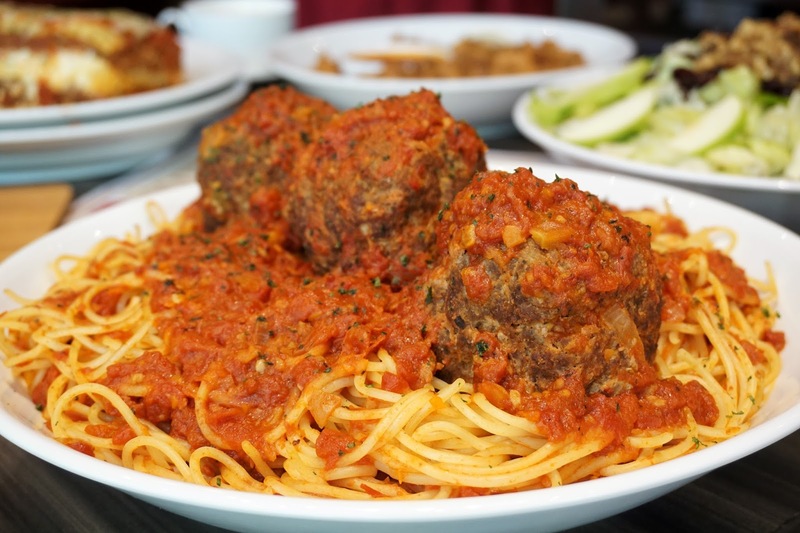 But if you prefer something to munch on aside from al dente pasta, go with Spaghetti with Meatballs (PHP575, small | PHP1,100, medium | PHP1,995, large) instead. 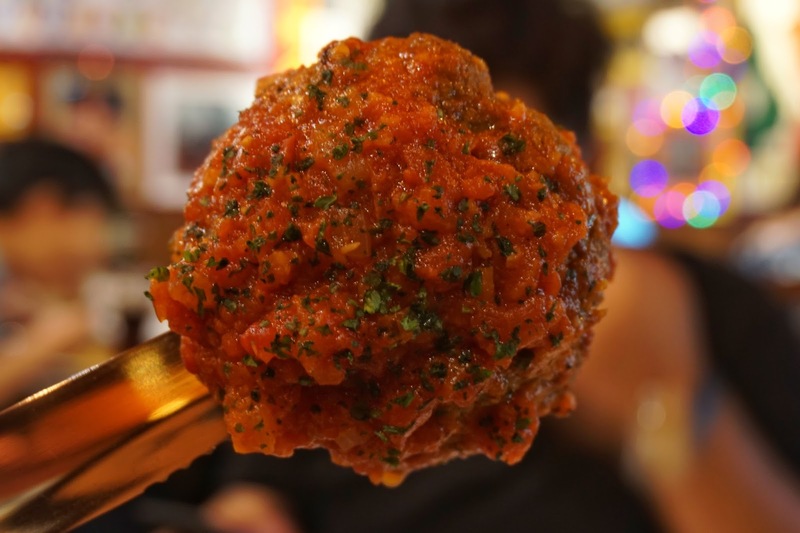 Buca di Beppo's meatballs may be priced at a steep price but its huge size and delectable flavor will not make you feel you get ripped off. 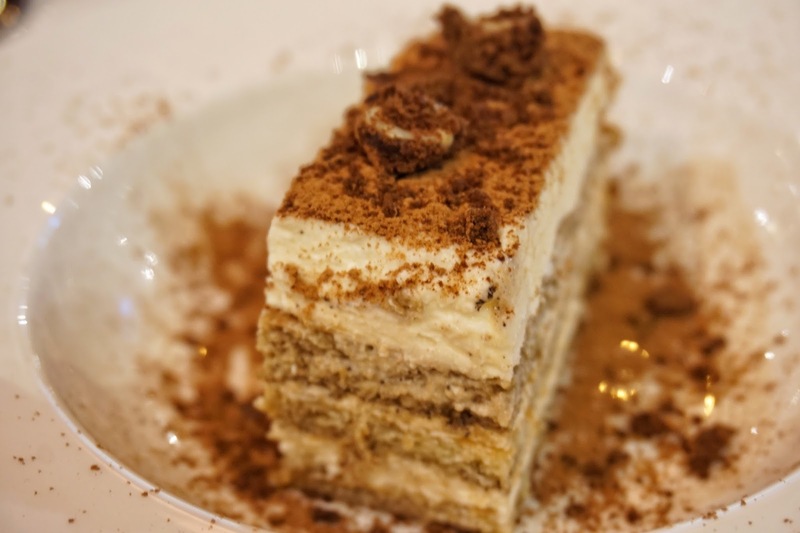 Though its meatballs are supposed to be the star of the meal, I'd give the spotlight to tiramisu. Its blend of espresso rum, sweetened mascarpone cheese and cocoa was heavenly! I wasn't able to note the price of this magical dessert but I would blindly pay any amount (well, maybe up to PHP300 for the same size) to get another slice of this! And it turns out that Buca di Beppo is known for this. Other dishes recommended to us and probably worth trying are Buca di Beppo's famous Lasagna (PHP585, small | PHP1,125, medium | PHP2,195, large), Fried Calamari (PHP485, medium | PHP975, large) and Apple Gorgonzola Salad (PHP855, small | PHP1,175, medium | PHP1,875, large). 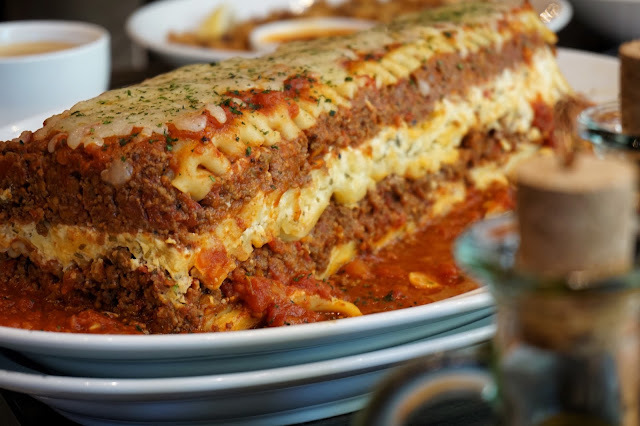 I would definitely go back for tiramisu and try its humongous lasagna. Oh, and don't hesitate to enter its kitchen. You can go inside and check out how they prepare your food. They truly have redefined the term "open kitchen". 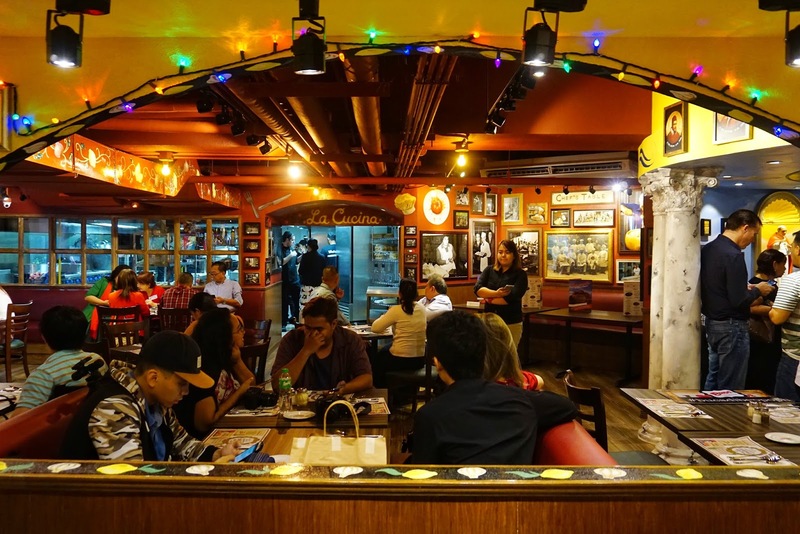 Buca di Beppo is located at Ground Floor, BGC Corporate Center, 11th Avenue, Fort Bonifacio, Taguig City. It is the building beside Seda Hotel.